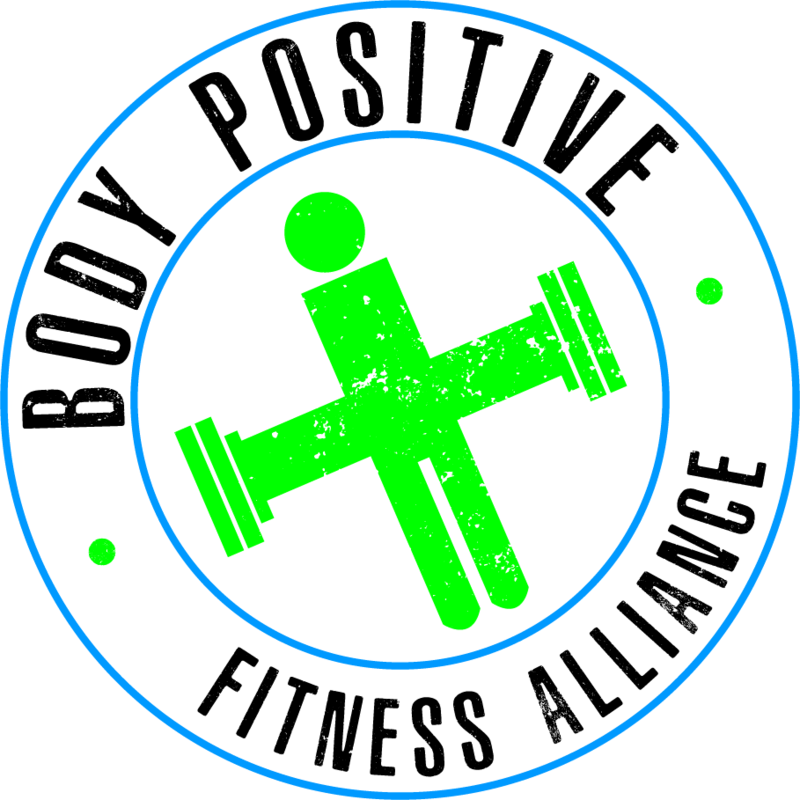 These pillars are the BPFA’s core values and help create a better fitness experience for all people. 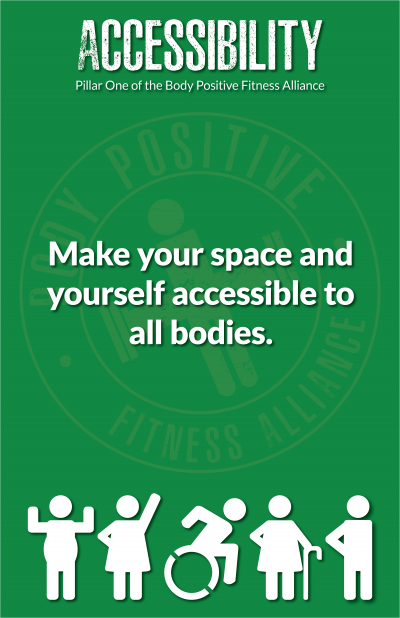 Make your space and yourself accessible to all bodies. Harness positive attitudes in order to strengthen the connection between coach & client. 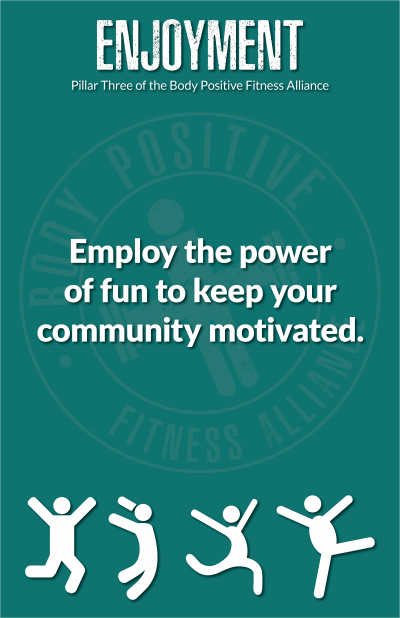 Employ the power of fun to keep your community motivated. All are welcome here and we are in this together. 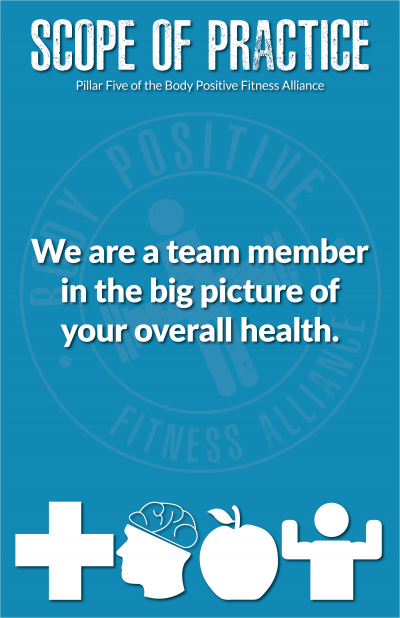 We are a team member in the big picture of your overall health. 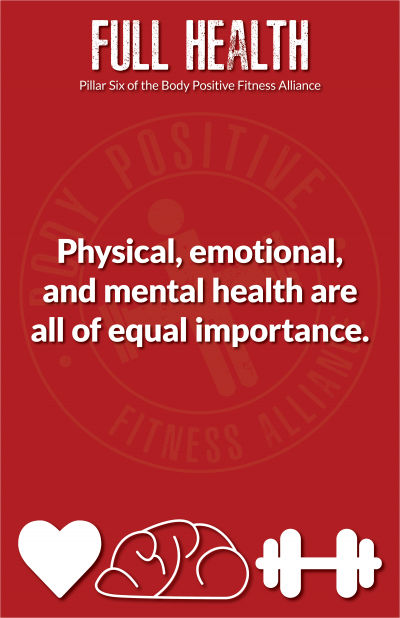 Physical, emotional, and mental health are all of equal importance. 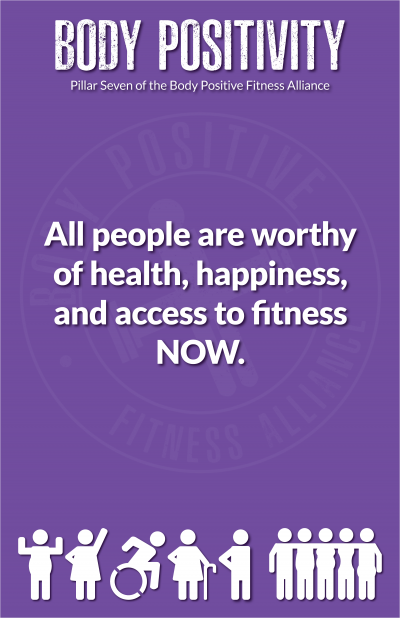 All people are worthy of health, happiness, and access to fitness NOW.